Hollybeary Creations : YNS Oct Release Sneaks!! Are you ready for a New Release from Your Next Stamp? Today we are featuring out Sneak Peeks of the October Release and be sure to join us tomorrow for the New Release Blog Hop! 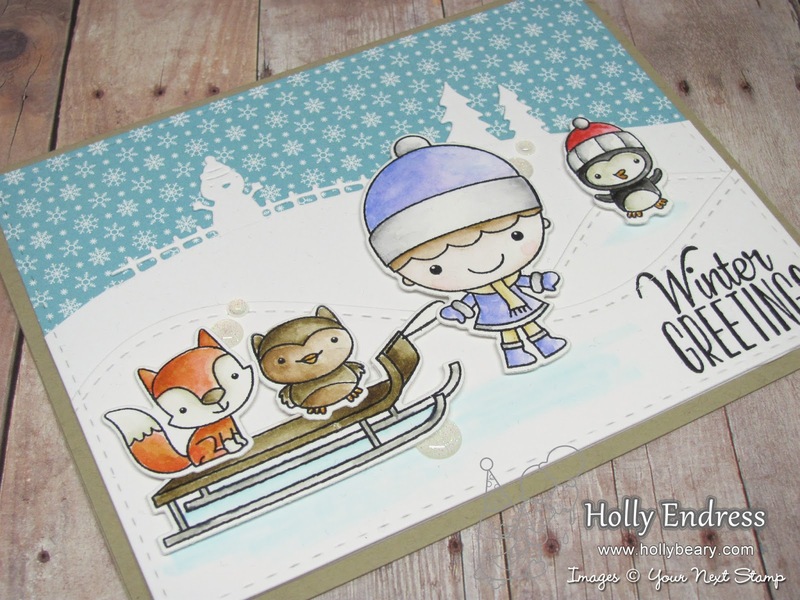 This month's release is full of fun with new Inks and lots of great stamps for your Holiday Cards! For my Sneak I'm using the Adorable new Winter Wonderland Phoebe set and coordinating dies. The set and the full New Release will be available in the store tomorrow at 10pm EST. I die cut some pattern paper and Neenah Solar White to create a background for my scene. Then I stamped the images onto some Tim Holtz Watercolor card stock and colored them in with Distress Ink for a Watercolor look. I die cut the images and added them to the scene. For the project I used the Stitched Rectangle Die Set , Double Stitched Hill side die set , White Sugar Sparkle gumdrops, Snowman boarder die & Winter Wonderland Phoebe Set and Dies. (Oct. Release). 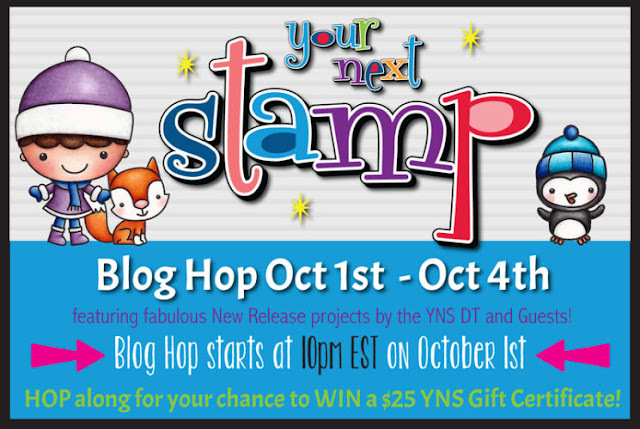 Head over to the blog for more Sneaks at this Fun Release and be sure to join us at 10pm EST tomorrow for a Blog Hop! So, so sweet! I love Phoebe and her friends!!! Oh my gosh, Holly...this is darling! I love everything about it! Thanks for sharing! Oh my! What an adorable card! Another awesome and cute set and that die!!! 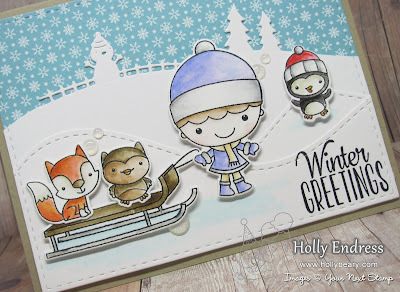 This is a very nice card - Really like the animals and Winter Scene Die!